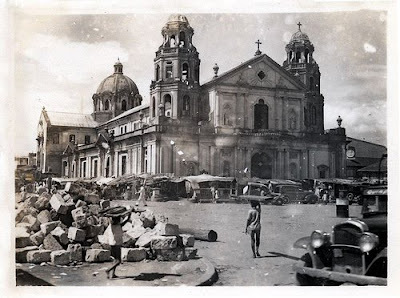 I love looking at old Manila photos. 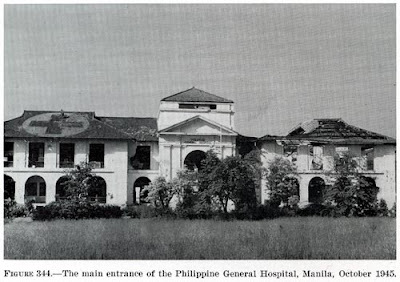 Gives me an idea of what Manila used to look like before it became this big sprawling megalopolis slowly decaying before our very eyes. Yes, that's what historians tell us, that's what foreigners tell us, that's what old people tells us. Them who've seen the old city and can provide comprehensive details about how it once used to be. 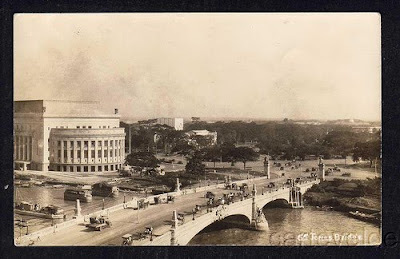 Looking at old photos of different parts of Manila somehow made me yearn of the old city that I never knew of. 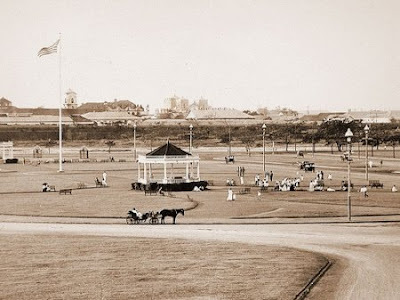 Indeed, what we've read in our elementary books, what our teachers, lolos and lolas told us were quite right: Manila used to be one of the most magnificent cities in Southeast Asia. It was grander than Singapore, even more appealing than the rest of Southeast Asian countries' capitals. I won't go on enumerating all the pitfalls, unlawful, wicked and erroneous things we have done to our historical buildings, waterways, roads, etc. 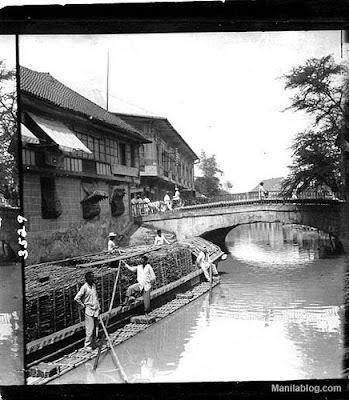 that made our once beautiful Manila the way it is now: a dead Pasig river, disappearing and decaying national heritage sites, deadly metro traffic and most recently, the cities being engulfed by waters that overflowed from rivers currently being blamed from a city plan gone awry. But let me leave all the accusing and criticisms to the institutions trying hard to clean their hands from all the faults being pointed at them and focus more on the good memories of a city that was. I'm really glad these photos survived wars and natural catastrophes. Jones Bridge. 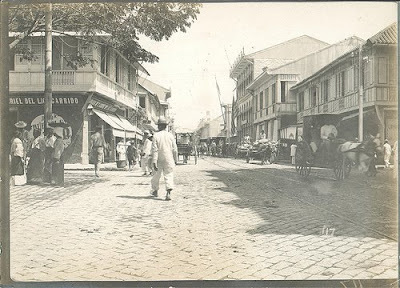 Connecting Intramuros to Quiapo. First built in 1632 but was damaged by several earthquakes, was rebuilt by Juan Arellano in 1922. 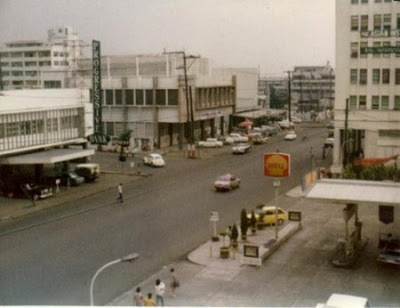 Cubao circa 1973. It's surprisingly maluwag and maaliwalas. 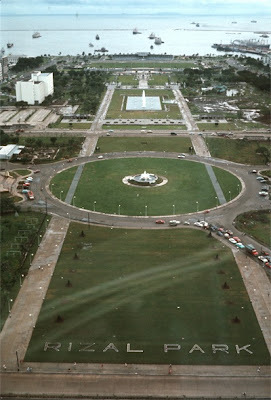 Rizal Park. 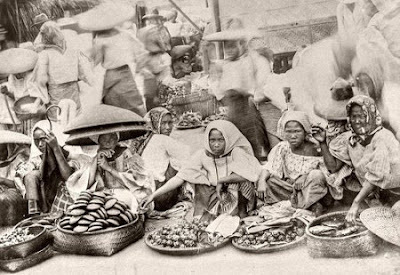 Again still so much space kahit hindi na circa 1900ish. 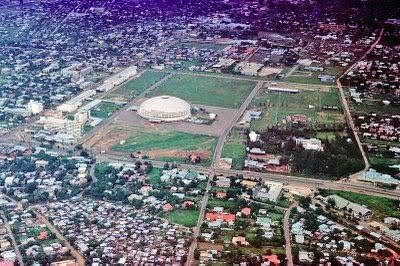 Araneta circa 1960 sans Gateway, SM and other malls. and traditional dresses too hannee!